The most recent report is posted below. Archived reports can be accessed through Birdingonthe.Net (look for WEST:NM RBA). Updates to the New Mexico Bird Finding Guide are posted to the NMOS web page here. The Arizona-New Mexico Birding List-Serve is also posted to ABA Birding News. This is the New Mexico Rare Bird Report for April 15, 2019 sponsored by the New Mexico Ornithological Society. When phone numbers are given for private property, please call before going to ask for permission. In ranch country, do not stray off the roads. Places mentioned in the report, a checklist of NM birds, and more locations on uncommon and specialty species can be found in the NM Bird Finding Guide. You can purchase the NM Bird Finding Guide here. A more complete, updated version of the checklist can be found here. For prior records of species in New Mexico, search the online archive of the NMOS Field Notes at http://nm-cis.unm.edu/partners/nmos. For photos of rarities and directions to some birding sites, check http://sites.google.com/site/oldenettelspage or the New Mexico Rarities Group on Flickr at http://www.flickr.com/groups/nmrarities/. NMOS is now on Facebook, search for New Mexico Ornithological Society. All individuals are encouraged to submit their observations to NMOS. This includes not only records of Review List species and species potentially new to the state, but also records of uncommon species, species of conservation concern, records documenting breeding, and early, late, or out-of-season/range birds. Details and photos should be sent to Sandy Williams, 1819 Meadowview Drive NW, Albuquerque, NM 87104, or (preferred) to sunbittern@earthlink.net. 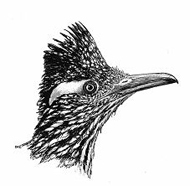 Details will be used for NMOS Field Notes, North American Birds, and the New Mexico Bird Records Committee. NOTE: Additional reports of unseasonal birds or county rarities can be seen on the eBird New Mexico Rare Bird Alert. You do not need an eBird account to view this. –the HARRIS’S SPARROW at the Rio Grande Valley SP just south of Montano continued to April 5. –Baumann reported the continuing PACIFIC WREN below the dam at Sumner Lake April 6. It was on the east side of the Pecos River at the eastern most end of the wooded area in the camping area. –Gilb photographed a WHITE-TAILED KITE at Mesilla Valley Bosque SP March 4. It continued to April 13. –Ongman and Gregory reported two MEXICAN CHICKADEES in Clanton Canyon April 14 below Geronimo Seep. –Joseph reported a PACIFIC WREN at El Porvenir Campground Area March 17. It was seen just north of the vehicle bridge past the campground parking lot and continued to March 24. –Ongman and Gregory reported a LESSER BLACK-BACKED GULL at Elephant Butte Lake SP March 23. It was seen along Long Point and continued to March 26, which is now open again. –a BLACK SCOTER was photographed at Bosque del Apache NWR April 14. It was seen on the main flight pond north of the flight deck. –Parmeter, Baumann, and Hyde reported a CASPIAN TERN at Bosque del Apache NWR April 12. It was seen on the main flight pond. –the LONG-TAILED DUCK continued at Bosque del Apache NWR to April 14 in the pond south of the Dabbler Deck. –up to four CAROLINA WRENS have been reported along the Seasonal Road at Bosque del Apache NWR. –Froehlich reported a RED-SHOULDERED HAWK at Bosque del Apache NWR March 30. It was seen east of marker for Audio Tour 11 on the North Loop. –a HARRIS’S SPARROW and GOLDEN-CROWNED SPARROW continue to be seen around the Visitors Center at Bosque del Apache NWR to April 14. They are reliably found near the water feature in the Cactus Garden. –up to two CAROLINA WRENS were reported south of Whitfield Conservation Area and continued to April 13.